I recently had the misfortune of renting a car from Dollar Rent A Car at the Atlanta airport. The original estimate for the rental was $93.50 for three days’ use. But in the end, I paid $233.28. I thought it might be a little more than the estimate, since I forgot my GPS device at home and asked to use one of theirs, but I was unprepared for a rate that was roughly 250% what had been estimated, though I had been prepared to get something ignominious like the screamingly red Kia they assigned me. Thank you for notifying us of your recent experience with Dollar Rent A Car in Atlanta. We appreciate the opportunity to assist. We have attached a copy of the final billing contract that we received from the location for your review. We are showing that LDW, the navigation unit and the roadsafe options we [sic; no doubt they meant “were”] accepted and signed for at the beginning of the rental. Due to this information all charges are done correctly and we are not showing a refund. Please let us know if you have any further questions. Thank you once again, Rev. Damick, for taking the time to notify us of this situation. 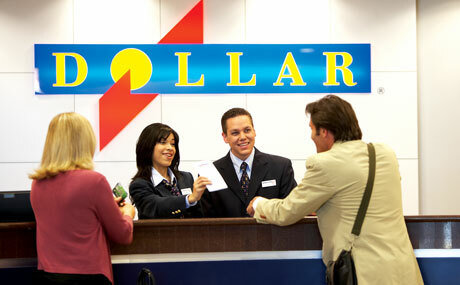 We look forward to serving you again soon at Dollar Rent A Car. I’m not sure whether what I was attempting to communicate really got across, though. I was not actually demanding a refund, though it might have been a gesture of goodwill on your part to offer at least a partial one. I was sure after I realized what happened that I had indeed signed for all those things. I’m not accusing you of cheating me. The problem, though, is that the process itself leaves almost no room for actually understanding what is being signed for, and your representative certainly did not explain these things to me, something that would perhaps be expected in the normal circumstance of a traveler renting a car after having gone through all the annoyance of air travel. That is the essence of my difficulty here. Now, I have no doubt that you do enough business that people getting charged for things they signed for but didn’t really understand does not particularly bother you. And especially since they signed, it probably doesn’t have to bother you in any legal sense. But I do hope I might appeal not to your sense of legality here but rather of simple, basic courtesy and humanity (even if not morality). One would imagine you would want your customers to know exactly what they’re buying and what they don’t have to buy if they don’t want to. I certainly didn’t want to buy insurance or “roadsafe options” (I still don’t even know what those are), but somehow I did anyway. In any event, my purpose is not to come off as a pompous know-nothing who breezed through something without any care for the consequences. I asked your representative why all those charges were there, and whatever it was he said was incomprehensible to me, perhaps because the script he no doubt is required to read from is written that way and possibly that combined with his thick accent. In any event, the point is that one of your customers has walked away disappointed. I am sure that you do not have to care, but I hope you might. We’re human beings out here. Perhaps there are some in there, too. I hope so. A shout into the darkness, I am sure, but one may as well say something and try to be civilized about it and even wax slightly philosophical. Caveat emptor, caveat lector. Update: It looks like a problem quite similar to one of mine is actually the subject of a lawsuit against Dollar. seems to me you didn’t bother to do your research or read the fine print, and somehow need to throw a hissy fit over it in public. get over yourself. and go to confession. Humane (to say nothing of “exalted”) employment is one that treats its employees like human beings. Being forced to behave as a machine doesn’t qualify. Nearly the whole of retail of any sort treats its people that way these days. I have yet to meet someone who works in one of these jobs who doesn’t feel this way much (if not most) of the time. I don’t blame the people who are treated this way. Most of them are in this to survive. But the corporate/consumerist culture which demands that treatment is very much to blame. Do you sit down and read the rental contract thoroughly before you sign it, every time you rent a car? I suspect that in most cases your reservation will expire and they will rent your car to someone else before you have finished doing that. In the real world, the purpose of the contract is to spell out the terms of the deal in excruciating legal exactitude, in order to protect the interests of the rental agency — not the renter. Nobody reads the contract, but every renter signs the contract knowing that that is what the contract is for, because the alternative is to decide not to rent the car, not to improve the terms of the contract in the renter’s favor. The language of the contract is not negotiable; it’s take it or leave it. Given that, it’s the rental agent’s job to tell the renter in plain English what the substance of the deal is. That is not a legal responsibility (the contract takes care of that), it’s a market-driven, customer service responsibility. Because if the agent misrepresents the contract or misleads the renter into accepting and paying for services he does not need or want, that renter is going to take his custom elsewhere. As Fr Andrew evidently will do. I don’t know how many priests you have known, but if you feel that “priests are the most arrogant people I have ever met” then you have had very bad luck in your clergy acquaintances. 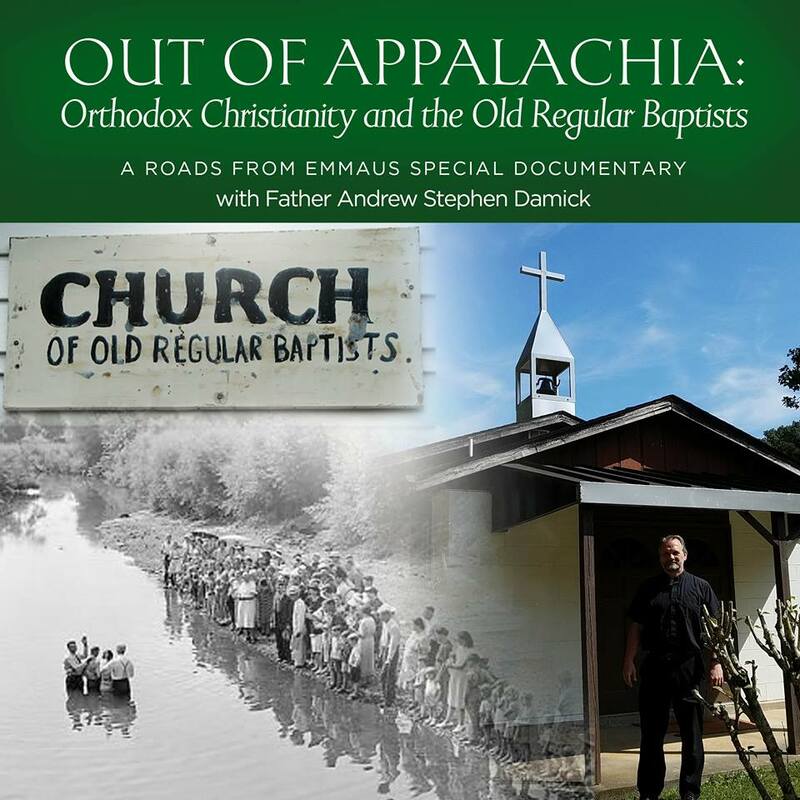 I have known many, many priests and pastors in my nearly 60 years, including Orthodox priests since I was Orthodox for ten years. In my experience most Christian clergy are reasonably confident within their expertise (theology, homiletics, and pastoral care), but personally gentle and unassuming men. I have known a few who obviously thought that they were God’s gift to His Church, and willing to be the expert and the one in charge about everything; but such men are definitely the exception. I travel a good deal on business and have much experience with renting cars. It can be aggravating to rent a car, but experiences like the one you had are pretty rare. Most rental agents will initially run through their script as quickly as can be, but if you stop and ask them to slow down and explain things in detail, they will do so and be quite helpful. As it happens, one of the few bad experiences that I have had was with Dollar, though it was not as bad as yours. I had a blowout while driving a Dollar rental, and they charged me $150.00 for replacing the tire. I tried to convince them that losing a tire constituted “normal wear and tear” and thus was part of their cost of doing business. They would have none of it, and of course the language of the contract that I had signed supported their position. I paid the $150.00 under protest, and asked my credit card company to go to bat for me. It took several weeks, but they got me my $150.00 back. Oh, and always pay for your rental with American Express. They’ve got your back. American Express supports Planned Parenthood, so that’s not an option for pro-life people. I think Fr.’s descriptor was trying to express sympathy towards the person, which is a charitable thing to do. Maybe it’s presumptuous in that Fr. A has not held the same job, but I have, and I appreciate the sympathy. I worked 50+ hours a week for five years for a rental car company and it was grueling and demeaning. I dealt with hundreds of irate customers whose personal cars had been wrecked, who was mad at me just because I was there. I sat next to a woman as she received the news that her husband had died from the accident they were in. I sold thousands of dollars of damage waiver to people who really didn’t need it, but it was a required part of my job. I went on potentially dangerous repo missions to get cars back from deadbeat customers. I did lots of things that legally my bosses should not have asked me to do. I knew a lot of great people there, too, and customers who would brighten one’s day. So I don’t think it’s unkind to be sympathetic for someone in that line of work; I know I always will be. The premium we pay in some places allows for the fixing of mistakes at their expense. This is the meaning of the laborer is worthy of his wage… or Tobit’s admonition to pay a wage immediately. I’m increasingly happy to pay a slight premium to work with human beings… who understand that’s what the customer is, too. In the long run, it ends up cheaper. But no, standard industry practice is a day is a day is a day… 24 hours and it’s EXTREMELY rigid. But I’ve felt you pain… usually on the gas tank issue (fill or don’t). Never seem to stop learning how you can be gamed. Truth is that the low-ball price guys are the ones that force the majors who charge more to start playing these games. In the end the range of behavior narrows as it does in any “game”. Talk to taxi drivers and learn how impossible it is for them to make a living and you’ll understand how the market for “limos” has taken off… as an independent driver’s attempt to circumvent poor prospects for making ends meet. Here again, the high end and low end are narrower in price than was once the case, and competition is shifted to non-price amenities… like AC that works, seats that don’t stick to you, etc. All that said, I would encourage you to not be embarassed to take your complaint to the top. I had an on-line issue the other day with my natural gas company and couldn’t get out of a horrible response cycle, so went to the Investor Contact page on their website. Have done the same with Verizon on occassion, too. In all cases, keeping it professional and trying to sell them on fixiing the problem as a system issue… and not personal, but something in their interest to fix… then you’ll get a response. I’ve had VERY personal service as a result, phone calls from senior management, etc. Sometimes they can’t fix it… but at least they tried… and maybe it will work for the next person somewhere. Then direct your business where they seem to see things your way everywhere you can. Value people, the environment, products that endure, etc. …all of these or take your pick… whatever… but don’t buy like the horde that divorces themselves from playing a role. Care. The market is a place where we vote with our dollars… only most folks refuse to see it that way. And sometimes, frankly… the market fails. The market has been annihilated by the impact of desperate labor conditions and rigid, shoddy production… and become accustomed to shoddiness it previously wouldn’t tolerate. And it’s not just the Chinese we complain about… but the whole of EVERYwhere… even here. So you touch a nerve. If only you knew the whole of it. And yeah… the saddest part is most folks listen to my case here… which I don’t make very well, shake their heads and maybe acknowledge the problem, but then go ahead and buy on price alone as if it weren’t connected to quality, to a way of life, a way of consumption and a way of killing us softly. Hard to trust a company that uses a fallen cross with the word “Dollar” on it as its logo. I feel for those working in that line of work. They almost always hate their job and only took it because it pays a wage and gives some sort of benefits, although both are probably meager. We recently rented a car (something we have done a few times before), and I noticed that the upsell was pretty tricky and pushy. After being very sweet and giving us all bottles of water and treating us like old friends, the saleswoman proceed to tack on more and more expenses (that we politely declined). “Without the insurance, you will to be responsible for any damages to the car! !” Yep, we can handle that. She did manage to sell us on half a tank of fuel (so we wouldn’t have to fill the car before we brought it back), and then her coworkers tried to push us into a gas-guzzler (“at no extra cost!”) on our way out. I think experience is the best teacher. Your rental experience is not unusual. You just didn’t know any better :). I would fare as well if I tried to “negotiate” the price of a car purchase or haggle over an antique. I think you’re at least partly annoyed that you got taken… That is the nature of the business ;). Ironically, I just wrote a post about how we treat people with accents. Fr. Andrew, you might enjoy this relevant Dilbert comic strip. Sadly, it’s also pretty much spot-on. Unfortunately, in a bureaucracy , it can take a while to work your way up the chain to anyone who actually has power to do anything. On another note the response you received for your original complaint actually very strongly reminded me of the letters I get whenever I write to my senators and congressman. Every time, I have written to ask them to oppose some particular bill. Every time, their form letter back starts with thanking me for contacting them, telling me how important it is for them to hear their constituents’ opinions, and then usually either proceeds to explain how important it is that this bill (that I am asking them to oppose) passes, or, even, goes on to talk about what a good track record they have in supporting the sort of thing I’m asking them to oppose, as if that’s what I want to hear! Incidentally, after being charged for gas from a Uhaul (when I did returned the vehicle with the same amount that was in it when I picked it up), I take a photo on my phone (time and date stamp) of the gauge and then again when I drop it off. I tell them I’m doing this. It’s a shame that people have to be so aggressive to protect themselves, but certain industries have (I can only assume) unreasonable price pressures. They simply cannot rent cars and stay in business at the prices they have to list, so they need to upsell just to keep the lights on. Other similar industries include healthcare (where they have to drastically over charge some to make up for others non-payment), car sales and long distance moving companies. I’m sure there are others as well. Of course you’re not “showing” a refund! Yeah, that was pretty priceless, like it was something they just happened to observe. FYI: All car rental companies do this, but if you book with a VISA card, they cover insurance, so you do not need to sign up for it.